Stephen is a successful entrepreneur, business leader and strategy consultant who really understands how disruptive technology is making the 21st century – and how business can not only survive but thrive using this new commercial DNA. 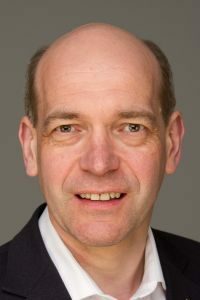 A seasoned CEO who has built several successful tech-based businesses, Stephen now specialises in board-level leadership where he can invest and apply his knowledge to the commercialisation of such cutting-edge areas as 3D printing, the Internet of Things, autonomous vehicles, artificial intelligence, mobile payments and secure transactions. He is currently exploring new opportunities in Silicon Valley and Asia while helping steer several new European enterprises through step-changes in performance. The former global head of UL’s Consumer Technology business also understands the strong role cultural factors play in international commercial teams. Stephen offers strategy and leadership consulting services to high growth technology businesses via SK Consulting & Investment (SKCI). To speak with Stephen, get in touch via the Contact page.